Hi, my name is Alice Elliott. I am an award winning blogger, digital marketer and ex-graphic designer. 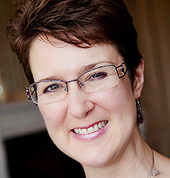 I am passionate about blogs and the benefits they can bring to businesses, individuals and more. I created the Fairy Blog Mother® blog when I realised many people didn’t understand about blogs. (This was certainly the case back in 2006 when I started my first blog). This means lots of potential bloggers are put off from starting blogs, because of the daunting technicalities. Whereas I consider blogging to be immeasurably valuable to businesses, and a fantastic resource for writers and those who want to express themselves online. Blogging puts people off because it is considered technical. Well, yes it is, but it is possible to understand if it is properly explained with easy to understand language, and visually presented and adapted to different levels. I consider myself an expert front-end user. I am not a web developer, as I consider myself an expert front-end user. I only use the most basic form of code (for links, images, etc) when I have to. This means enter and work on a blog like a user, because if I can’t understand it, neither will anyone else. That forms the basis of my blog teaching. 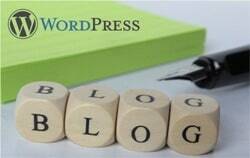 I have chosen WordPress as my blogging platform. 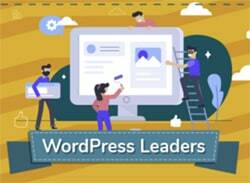 This is because WordPress was originally developed by a majority of women technical engineers. This makes it easy to use, understand and teach to beginner bloggers. It is perfect for all learners in any capacity, business or personal. I specialise in “explaining things really simply”. go at your level that is the most appropriate. I also blog, including guest posts with infographics, and how-to posts with mini-tutorials. I’ve passed Diplomas in both Marketing and Digital Marketing, not only to help myself, but to be able to pass onto you the knowledge that can make your blog more successful. I can offer blogging consultation to you if you already have a blog and would like to know the best practices in blogging, digital marketing, social media and more. I’ve studied how to write posts, comments, interaction, headlines, SEO, persuasive text, strategies and campaigns, promoting events, social media usage – all from extensive reading of other blogs, of course! Check out my social media profiles (in the footer) to learn more about me. Read my blog posts (they do go back to around 2008!) to learn more about blogging. And if any questions come to mind while browsing this website, let me know what they are, so I can answer them for you!